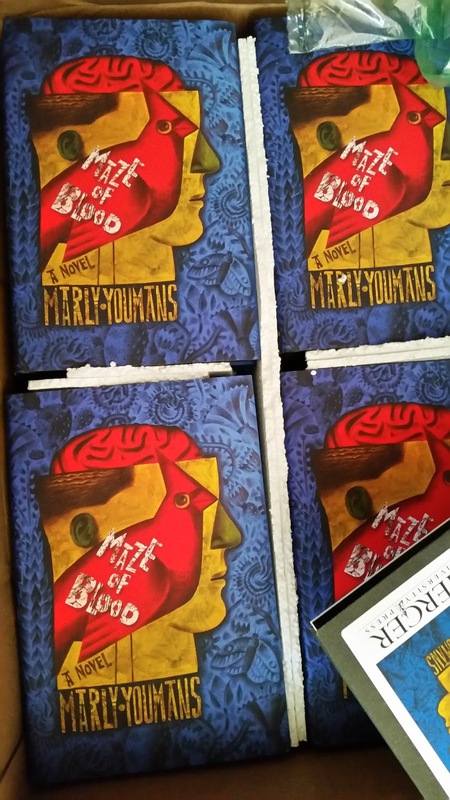 Named as one of their Favorite Books of 2015 at Books and Culture Magazine, Maze of Blood (Mercer University Press, 2015), is a visceral shot to the senses and a fine filament tugging at the imagination that examines the results of thwarted dreams and desires in the life of a young writer. 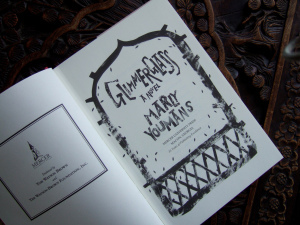 Set in rural Texas in the 1930’s, Marly Youmans uses language as both scalpel and wand to conjure a place and time as real as the abandoned oil wells and as otherworldly as the magical lands of the great epic poems. Eve light at 2:00 a.m. Here's a Christmas poem from a little collection of poems at At Length, all drawn from the manuscript of The Book of the Red King. Fool says, Be merry! Like a sorcerer who summons demons. Of one substance rumpled, crumpled, bent. Two salamanders glorying in flame. Thanks to editor Jonathan Farmer, who accepted that group of poems from The Book of the Red King. 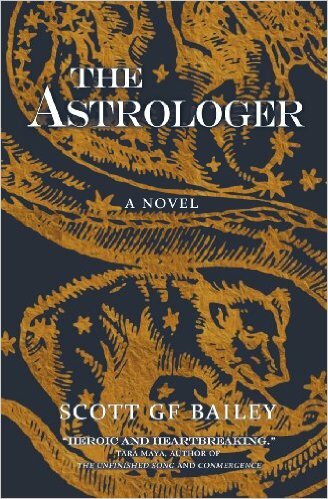 that writer Scott Bailey is reading another of my books and starting to comment. He is a grand reader and always has insights that make me remember what it was like to write the book. First installment--"no limit Texas hold 'em"--is here. And if you want to order one of Scott's books, go here. Gustave Flaubert, Sentimental Education; A Shropshire Lad, A. E. Housman; Little, Big, John Crowley; Life Is a Dream, Pedro Calderón de la Barca; Germinal, Émile Zola. The confusion of the two dinners at the end of the first act of Richard Bean’s and Carlo Goldoni’s One Man, Two Guvnors; Rosso Malpelo digging for his buried father in Giovanni Verga’s “Rosso Malpelo”; Richard Jefferies falling in love with a trout; Mark Twain getting his watch fixed; John Davidson on the beach with his dogs; Lizzie Eustace trying to memorize Shelley in The Eustace Diamonds; the scene in Marly Youmans’s Thaliad where the little kids in the van drive away from the little boy – no, even better, when they go back for him; and the end of “All at One Point” in Calvino’s Cosmicomics when Mrs. Ph(i)Nk0 creates the universe in an act of generosity – “Boys, the noodles I would make for you!” – which may perhaps be an allegory for what all of these writers were doing for me this year. Follow Marly's board Digby videos: videos by composer-videographer Paul Digby for poetry by Marly Youmans on Pinterest. You can also find some recordings of Paul singing at the same Pinterest account. 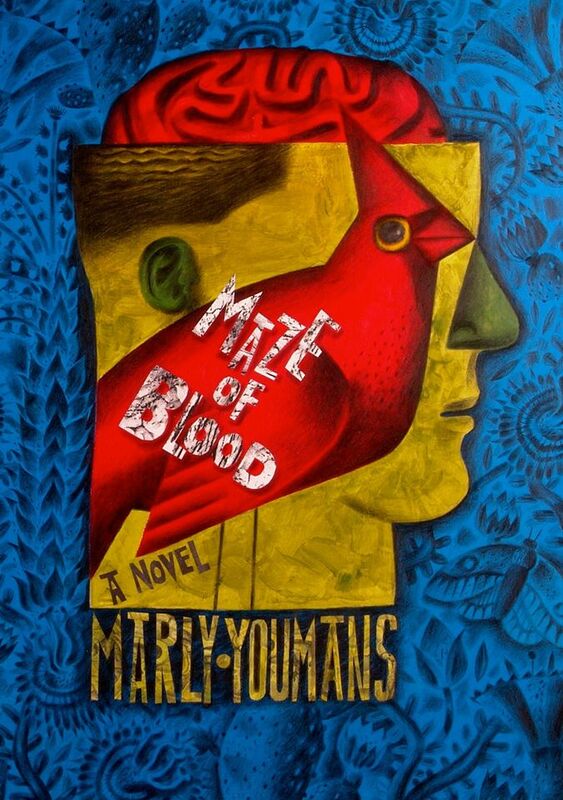 Maze of Blood at Favorite Books of 2015, "Books and Culture Magazine." Glimmerglass at Books for Christmas: the Headmaster Recommends, The Imaginative Conservative. Glad to be on another end-of-the-year list! 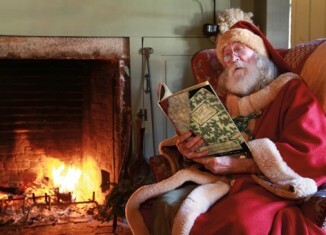 This time it's a site new to me, The Imaginative Conservative, with Books for Christmas: the Headmaster Recommends. 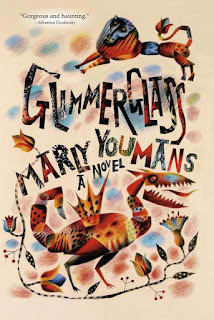 Marly Youmans’ Glimmerglass: A Novel: Youmans is a poet who writes novels. Her prose is beautiful. There were many lines I read out loud to my wife. When I finished it, she read it and we agreed, this book is a literary treasure. I'm glad last year's book is still being recommended, as Maze of Blood arrived so close on the heels of Glimmerglass. Thanks, Headmaster! Clive Hicks-Jenkins: When time allowed and opportunities came my way, I began to make book cover images for some of my friends, the chief among them being Marly Youmans, who because of her reputation as a writer was able to persuade one of her publishers to employ me. 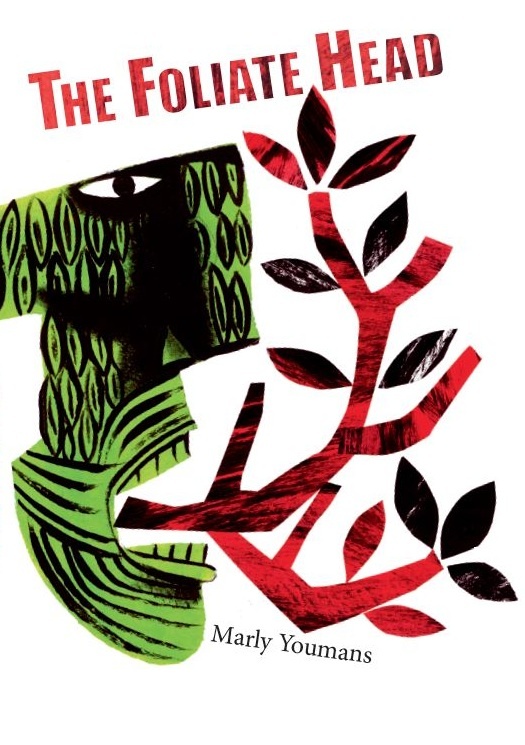 For The Foliate Head she even persuaded the publisher to take on my brother-in-law, Andrew Wakelin, as the designer, and he produced a splendid book-cover and ensured the layout inside was handsome. 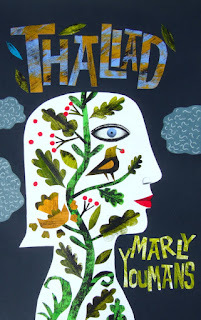 It was The Foliate Head that also established my regular practice of making page-division images and vignettes for Marly’s books. Sienna Latham asked how Clive and I work with a designer. Perhaps there's no one answer to that, as to so many things! But now I'll try to think my way through and find out, right now. What is always the same is our relationship. The two of us trust each other to do good work, and we don't interfere--I don't try and make the artist draw a certain element or in a particular mode, that is, and he doesn't try to encourage me to write other than I do. We never try to hurry each other in any way. We are curious about what the other is doing. Although we are very different, we have common loves, a kinship in sensibility, and are drawn to some of the same material, something we discovered early in writing letters back and forth. As there are some books that have only a jacket (and cover) from Clive, I'll speak to those that are also decorated by him on the interior. We have worked with three designers on interior / exterior art, and I would say that it's a great help to have a designer care about the material. Our three designers are Andrew Wakelin (The Foliate Head), Elizabeth Adams (Thaliad), and Mary-Frances Glover Burt (Glimmerglass and Maze of Blood.) Perhaps it is surprising that each of the three people involved with making the book--writing, art, and design--is so free to do what he or she likes. Certainly I've been in situations where I've had little knowledge of what was happening with a jacket/cover. I've also been privy to the sight of publishers (not mine) and writers (not me) attempting to budge Clive, though why one would do so, I cannot imagine. Gratefulness that he wants to do a piece of work for a book of mine is always my slant on things. Andrew Wakelin, the brother of Clive's partner, was an interesting choice as a designer, in that it was possible for Clive and Andrew to meet in person to discuss layout, and for Peter Wakelin to render opinions as well. Clive and I have a love for foliate heads, and the images arrived with that sense of ease that comes from love and long practice. I had little to do but admire, although we certainly discussed choice and placement. As I had met Andrew while in Wales, I found it easy to imagine their meetings at Ty Isaf when reported by email. The primary challenge with having Andrew serve as designer is that he is not an employee of Stanza Press (a division of P. S. Publishing in the U.K.), and so we had to get permission to use a different designer and also to tinker with the Stanza Press template for poetry books. (Val/Orson, which has jacket art from Clive, was outsourced by P. S. to writer / designer Robert Wexler, so we knew it was possible. Interestingly, I got to stay with Robert and his wife, Rebecca Kuder, when I taught in the Antioch summer workshops.) It helped that Pete Crowther asked for a poetry book, since when people ask, they're more likely to accept some variation (though Pete is a wonderfully nice and agreeable man.) It also helped that Andrew is a grand designer. We had an unexpected bit of difficulty with pagination and length because of the template, and at the last moment added a few poems that were congenial with the manuscript. Designer-and-more Beth Adams is someone I met long before she asked for Thaliad (Ivy Alvarez and I had edited an issue of quarrtisiluni, the magazine she founded with Dave Bonta, and I live not far from Beth's childhood home.) She is a visual artist, writer, editor / designer, and publisher. Her Phoenicia Publishing (Montreal) is a micro-press in staff and a macro-press in ambition. As a team, we had many common interests and were united in the desire to make the most beautiful book possible, given the constraints of small press. (Constraints are often good challenges that lead to ingenuity.) The three of us kept in close touch. Our emails were full of forwarded quotes from one another and the many images Clive made, all influenced by American folk art. 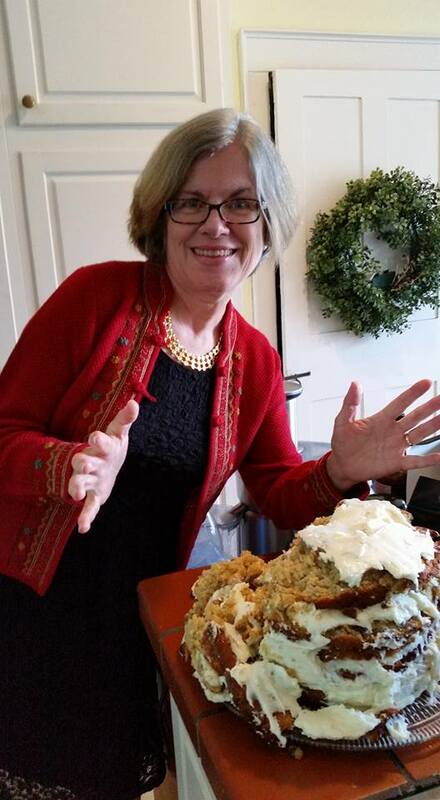 One marvelous aspect to Phoenicia Publishing is that Beth's hand is in everything. Because she writes and makes art and designs, there's a seamlessness and feeling of a central editorial taste about all Phoenicia's books. Clive: By contrast [with The Throne of Psyche, which used existing art] I made the artwork for Glimmerglass specifically for the project, and I’ve greatly enjoyed working with Mary-Frances Glover Burt as she’s sensitively transferred my drawing to the cover and made clever adjustments to finesse it into what you see at the top of this page. (I shall not spoil the illusion by indicating where adjustments have taken place, but suffice to say that she’s been quite the magician!) Moreover she’s made the wrap-around truly beautiful, with the lettering for the cover cleverly reconfigured for the spine, and the foliate elements unspooling onto the flaps. I particularly like the detailing of where she’s inserted a white rectangle for the necessary barcode on the back cover, but sweetened it by having a foliate element passing in front of a corner of it. Gorgeous work, Mary-Frances. Perhaps it's in Maze of Blood where one sees most vividly how very imaginative a designer can be. In some ways, Mary-Frances appeared to have less to work with and more of a challenge when Clive's many small decorations for the interior of Glimmerglass gave way to something larger. with Maze of Blood. Despite being busy with other projects, Clive made six portraits for division pages, plus the head on the jacket. Clive: The drawings, which are variously embellished versions of a man’s head, are intended as poetic expressions of the text rather than as representing specific episodes. Because I had only six images to play with, I tried to densely layer my ideas, so any one drawing might be seen to be referencing multiple aspects of the narrative. Vegetation and flowers figure strongly in Marly’s text, as do the imaginative universes the protagonist conjures in his novels and short stories. I wanted to combine both in this image, and so while the ‘flowering’ has been informed by aspects of American folk-art… particularly appliqué-quilts… by setting it like the crest of a headdress, it can simultaneously echo of some of the writer’s elaborate inventions of ancient and mythic cultures. In each image the man’s eye has been replaced by a substitute. There’s been a beetle, a flower, the sighting of a revolver and a coiled ribbon of paper. 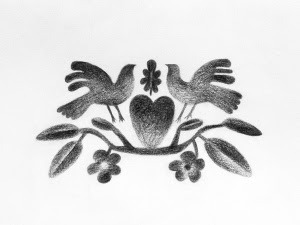 Here a ‘folk-art’ bird is the stand-in, and I like that the plumes of its tail might be seen as ‘tears of blood’. At one point, Mary-Frances requested a sketch of folded paper like the maze in one of the heads, and she used it on the title page. 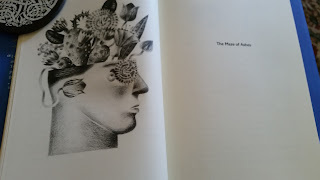 Other elements were plucked from the six portraits--a bird, a gun, insects, flower--and woven into the text pages, as well as appearing like a passage into the prefatory and out the concluding pages. The jacket flaps and rear of the jacket also show how she has re-used signal elements like the passion flowers and moth and gun, all dark and shadowy in the rich blue of the background. The foliate bar code detail that Clive liked on Glimmerglass? There's a moth that has settled onto, slightly into, the bar code of Maze of Blood. What strikes me about all these triangular relationships is that they are founded on a trust in the abilities and creativity of other artists. In all cases, the people involved respected the abilities of the others and left them in freedom. While it always seemed that a good deal of collaboration was happening because I was constantly seeing fresh images, in truth we were simply immersed in one another's work and having the great and happy pleasure of watching how one art generates another. Seeing the energies of the initial work flow elsewhere and generate new work is marvelous. When this sort of collaboration goes well, each person is a part of a dynamic, moving whole--as, say, one spiral branch of a triskelion. p. s. In answer to another question, the hardcover of Thaliad is only available via the Phoenicia site. The paperback can be ordered via the usual places. p. p. s. If you want to see Clive's lovely response and some also-lovely comments, go here. And Alan Lee has ordered three of our books! My fantasy-loving, writing-and-cartooning child was as excited as when a Diana Wynne Jones blurb arrived for Ingledove. p. p. p. s. All the above is an attempt to describe something that is simple, full of love and joy and magic. Still waiting for Lady Word of Mouth to start gossiping about this book. Please take a look at review clips on the Maze of Blood page if you're interested. All I want for Christmas (other than St. Aldhelm's riddles) is more readers for this book. Oh, and I'm so pleased that they mentioned "a gorgeous cover and illustrations by Clive Hicks-Jenkins." Because the collaborations we've done don't get enough mention for the art--stellar art and also design. 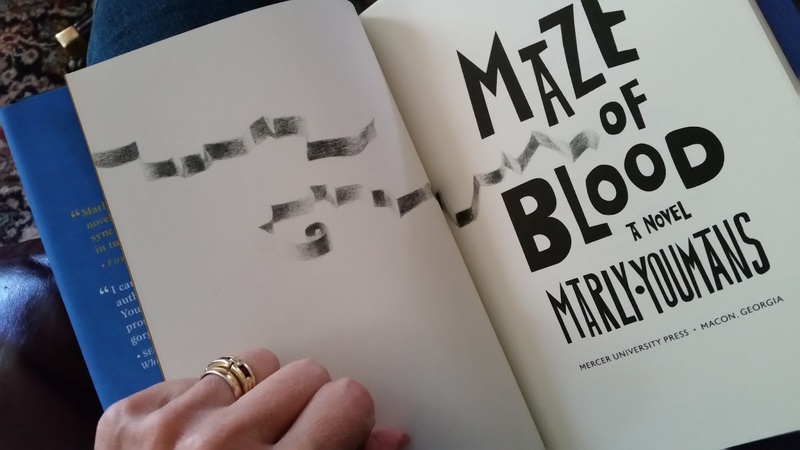 Design work on Maze of Blood by the wonderful Mary-Frances Glover Burt of Burt and Burt, with stellar production values from Mercer University Press. If you have an interest in literature, what's happened to English studies in post-post-modern period, and the soul-sucking ideas some mainstream professors might be inculcating in our children, you might just take a look at Lisa Riddick's article at The Point, "When Nothing is Cool." Clip: "I have spoken with many young academics who say that their theoretical training has left them benumbed. After a few years in the profession, they can hardly locate the part of themselves that can be moved by a poem or novel. It is as if their souls have gone into hiding, to await tenure or some other deliverance." I often notice writers or artists talking about how their children are keeping them from work. Just last week I read a piece by a highly successful young writer with a Guggenheim and several books in her bag. But now she has a baby and can't seem to write something she likes. Well, really, is that a huge surprise or a tragedy? I doubt it. You know, this idea that we have to do our art every day is an idea custom-made for men. Made for men! It does not fit the average mother's life. If a mother cannot manage it, fine. She will do what she can. Mothers are needed by children, while writers and painters and so on are simply not needed by children. Not needed. At all. Oh, children might enjoy spotting a mother's book or painting in a shop or gallery, but it's not important to their lives. A mother is deep down vital to their lives. Some of us are obsessed. I seem to be one of those. There's no particular virtue in being obsessed, just as there's no particular virtue in not being obsessed. I wrote my first book (my first published book) with my first baby on my lap. My second book was written on the landing of the stairs. We were in a condo for a year, and I could see into the sunken living room through stair railings, and sometimes I encouraged my children to play there when I wanted to write a little. I also used nap time, and I stayed up late to write. Obviously, I wrote that book in little bits and pieces. No doubt that affected the book. And no doubt having small children affected the book. I've had people tell me that Catherwood made them cry, or made them stop reading for a week because they were grieved. Somebody told me that they were amused to see that an Amazon review of the book said it was almost too heart-wringing! Why? Because I had a son of two and a baby daughter. To love more (and in a new way) is to be bigger than before. I had more to care about, more to lose, more to feed my writing. All my intense mother-love rained down on that book. More life should never be a mistake for an artist of any sort because art craves a sense of life and energy. But if a woman simply can't do her work with small children for an extended period, that's okay, too. She's getting bigger on the inside all the time (and I'm not talking pregnancy, though that sometimes happens as well.) Motherhood stretches us. It's joyful and wild and full of work and difficulties and exhaustion. Children sometimes turn out to have syndromes or deficits a mother never expected. And even without those difficulties, children and parents learn that the song is right: growing up is hard to do. Always. Challenges can be good for us as artists, if we don't insist on having our own way. Because children aren't about letting a mother have her own way. But they are about growing, and they will make a mother grow too. And that's good for the work. Sometimes even the obsessed can't manage. I have to confess that it was harder for me to write something sustained when we moved back South when my children were small, and it wasn't just because I wanted to go outside and play. Some passages in life are simply more difficult than others and impossible to plan for. My children needed me in new and different ways as they grew, and they slept less. I kept writing, but I think of the years between the second and third book as years when I wrote a lot of work that I threw away later or stockpiled. Lots of poems, lots of sketches. My husband was doing some intense training that meant I didn't always have a lot of help. My father became quite ill with the disease that would kill him ten years later. And I was very sick during my third pregnancy and afterward. We also moved three times in the space of five years. I sold two houses as a result, while my husband left for new work a thousand miles away, well before the children and I moved. That was a whole lot of upheaval and change to manage. Now when I am not writing, I don't worry. I think of myself as fallow. I am like a field that will produce in a great explosion of spring. But perhaps it is not spring yet. Perhaps in a month I will be writing a novel, wishing to be with it all the time. Perhaps I will be having a crazy sluice of new poems. I am old enough that I have faith that what has drifted away will return again because I know my own patterns, and how I work best. A good parallel example of how to keep going and manage to work daily shines through Luisa Igloria's post about daily writing on The House of Words series: it's here. Luisa has four daughters and a busy professional life, and she has managed at least a half hour per day for her writing for years. I don't know if she could have managed it when her children were younger. I expect if painting had been her thing, she might be doing a tiny oil painting or a sketch or a small woodcut in her bits of time, as she likes to complete something each day. And she would be, as a result, able to do better and better work on that scale, and be more ready for any bigger work as well. We all need to have threads running to others who love what we love, and those threads can steady us and give us someone who has sympathy with our situation. People like Luisa have been important to me. I want to make beauty, do the occasional teaching gig, and be a mother, and Luisa's life is a kind of parallel to mine, except that I quit teaching full-time long ago, and so she juggles even more than I do. Luisa and I chat frequently, and we share woes and joys that come with motherhood and being writers. We're happy or sad for each other, depending on the event, and that's wonderfully helpful. I live in a place with few writers, so it's especially sweet for me. Similarly, my local friendship with painter Ashley Norwood Cooper is one where we get together to talk about a life in the arts, leaping about from children (three each) to work to goals. We live in a fairly obscure place, so it's lovely to know someone living a somewhat parallel life. I have many other friends in the arts, but knowing a good number who are trying to be mothers and also make their art feels helpful to me. Perhaps the biggest challenge for both men and women in the arts is the fact that most of them are to varying degrees invisible as artists, so that their work is little known, or less well known than it should be. We live in a winner-takes-all time where few are pushed and promoted. Artists look around and often see that lesser work is puffed and promoted and feel that it is hard to go on. Plenty of women feel that the game is tilted toward men, but plenty of men are left out of the inner circle of marketed and promoted artists, too. A woman who feels that way and also has a few children may feel her path is just too difficult, that she is too alone in what she longs to achieve. That's another reason why constructing a circle is so important--to spend time with other people who want to bring art into the world. Because the danger with a degree of invisibility is disappearing. To know and be known by others the artist respects is a way of having the work become bright and visible, and that is always encouraging. After all, no art is quite finished without its right audience. I've been playing on Facebook (so fun to get hundreds and hundreds of birthday wishes from all sorts of interesting people) and twitter (which, oddly, actually does good things for my books) and ignoring my blog for a good long while. Oh, I've been fairly dutiful and put up review clips for Maze of Blood, and left a books-in-print post when I ran off to Peru and Chile and Mexico. But I have left the blog in a condition of half-dressed neglect of late. Poor child, she needs her face scrubbed and a new gown and some kid slippers. And so I'm wondering. I haven't asked what people would like to see or read about for a long time. So. Tell. Got a question, an idea, a wish, a direction, a signpost that fits? Here are some of the things I've thought about doing lately. Tell me if you find any of them especially interesting, or even if you find them all dull and dowdy! Tell me your own ideas for what I should do, too--they may be better than mine. Update (ideas from an editor): "I also wanted to suggest that you branch out and write more about non-literary, non-book topics. You are fun to talk to and have plenty of ideas and opinions, and it would be interesting to your readers as well as (I suspect) yourself to talk about some other things. What's it like living in Cooperstown (both as a small town, and as a wealthy tourist town in a mostly-depressed area of the country)? How about some interviews with other artists/musicians/writers who live in the area? What are the particular challenges and/or inspirations/advantages they deal with? Do you miss the South? Why or why not? Yankee attitudes vs Southern ones? You've been traveling - will you tell us about that?" And an extremely capable writer, much published: Oh...as someone who has so woefully neglected her own blog, I am at a loss. Though, I do like it when you write about poetry, because as much as I love reading it, I am never very comfortable writing about it for fear of sounding like an idiot. So I enjoy reading authors who do (and you do) know how to write about it. --I have a friend who won a major poetry prize and, a year out, nothing about the book has appeared. It seems the case that fewer and fewer books are able to succeed in our bestseller-winner-take-all culture, no matter how good they are. I am bothered that she has received no reviews, and I've thought about doing a little series of posts about some of the poems in the book. Alternately, I might just write a longer, meditative sort of article for some other site. --I've also thought about an interview with the same writer. --A lot of my friends and e-friends are in the visual arts. People tend to know about my friendship with Clive Hicks-Jenkins because of the jackets and covers, as well as the lavish interior art for Thaliad, The Foliate Head, Glimmerglass, and Maze of Blood. But I have thought about doing a little series in honor of some of my painter friends. Maybe it would focus on particular pieces. Maybe it would combine a little bit about the paintings or a painting with a question directed at the painter. --A shopping list: off-the-beaten track books and art, focusing on people I know. --I might consider writing something about how and why I've made such odd choices, often seemingly wrong-headed ones, having to do with marketing and publishers and agents and so on. But I always think it's too much to comprehend, even for me! So perhaps I don't want to do that one, though I've started it (and trashed it) before. --Here's more of a hot-button topic: what's wrong with our trendy ideas of the evils of cultural appropriation--why they are fundamentally a wrong way to think for writers. --And here's another: why a woman writer should not "burn down the house" of literature, with all its white male dead locked inside. --The idea of doing a piece about how Clive and I work with a designer is appealing. And I do have plans to do an interview elsewhere that puts the two of us together. 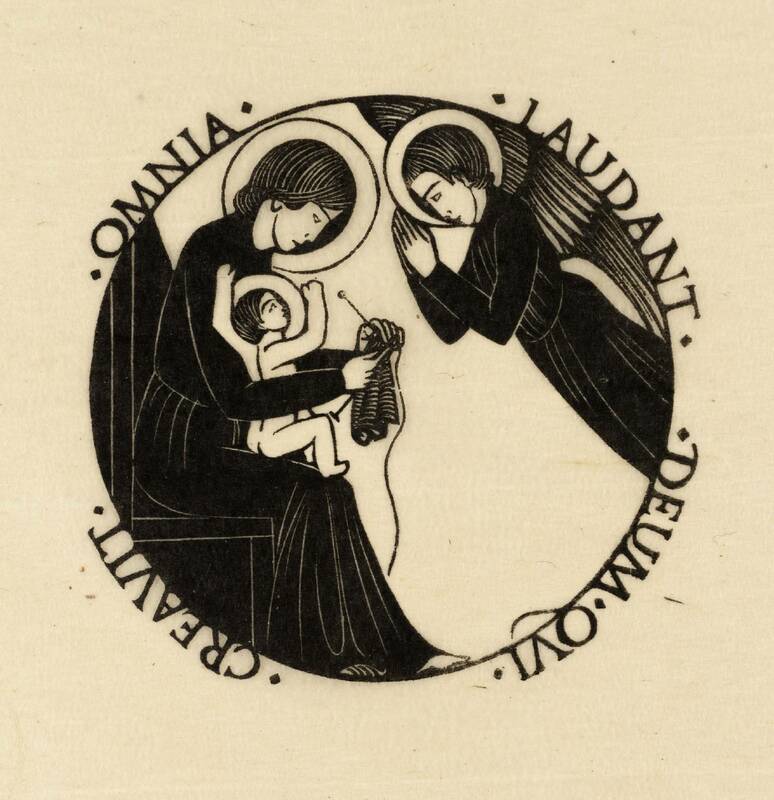 --And what about a piece about how Elizabeth Adams planned, did the art work for, and designed Annunciation (Phoenicia Publishing)? --More on Karin Svahn's embroidery. Probably some of those miss the mark. And maybe I'm not thinking of other ideas that might be splendid and suit me. Tell me what to think, and I might just follow your lead, or debate you. Ask me a question, and I just might answer. The Foreword Reviews review of Maze of Blood by Clarissa Goldsmith evidently popped into the world while I was looking in another direction... 5/5 stars. You can read it here. Clip: Simultaneously poetic and restrained, Youmans’s portrait of Conall Weaver is honest and, at times, heartbreaking. Maze of Blood is a layered and complex exploration of human existence and the experiences that mold a person.